WELCOME TO PLAYLIST, A BI-WEEKLY FEATURE THAT STRIVES TO DETERMINE WHAT MUSIC POPULAR CHARACTERS FROM THE GEEKOSPHERE WOULD LISTEN TO. Wolf is a shinobi with one goal: to protect his master. After all, the Father’s word is absolute, but the Master’s is a close second. In Sekiro: Shadows Die Twice, the Wolf wakes up in a well. What transpired before is a mystery. All he knows is that his master, the Divine Heir and the last of the Hirata family, has been captured and imprisoned in a tower. Naturally, the rescue attempt is foiled. This is where the game truly begins and where our Sekiro’s Wolf Playlist comes into play. The rest of the game marks Wolf’s vengeance as his loyalty exceeds all others. He must get his master back at any cost, for he is the Divine Heir’s shinobi. Given that the game is a From Software title, the narrative extends well and beyond what I have summarised above. In this Vamers Playlist, however, the story is not what matters. Rather, it is Wolf himself. Wolf is a complicated individual with a simple goal. His life is dictated not by the blade mastery he was taught, but by the simple rule that his adopted father ingrained onto him. As such, he carries his weight like a feather and moves across the field like a dancer; but with anger in his eyes. While he does, he is likely tuned into a portable music device, and the songs on said device are the subject matter of this Sekiro’s Wolf Playlist. For this edition of Playlist, we took a step back from our usual modus operandi and instead decided to do something a bit different. There are seemingly countless films out there, all based on the various classical Japanese periods. While the various Japanese periods may not be the same for all films and games with this subject matter, all of them have the unquestionable sound that dictates how they are oriental in nature. This unique sound, and Wolf’s infallible loyalty, showcase why he would listen to songs inspired by the period he hails from. 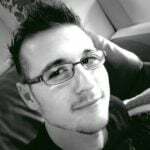 Listeners of this Sekiro’s Wolf Playlistcan expect orchestral notes like no other, where, instead of artists, composers prevail. Enjoy! The Sengoku period is known for its countless battles, in-fighting, and civil wars. It was a war-torn period for Japan and its inhabitants, and Sekiro makes sure that the player knows this. The game opens up with a huge battle that depicts how master swordsman Ishin Ashina conquered over Tomura, and won victory for the Hirata clan. It is a bloody time, and this song conveys that fact beautifully. Sekiro, meaning one-fanged wolf, is the name Tengu gives Wolf when the two meet. Fittingly, the Wolf meets Tengu right on the outskirts of a war-torn battlefield, on the outskirts of the Ashina Castle gates. The only reason this battlefield became so war-torn, it because of the loyal protector of the gate, a hulking general in the Ashina army and his trusted warhorse. Here, Tengu gives Wolf an esoteric text – a block of notes that unlock new abilities for the shinobi to practice. It emphasises Wolf’s need to follow the Way of the Sword. When it comes to the Shinobi Code, there is no space for error. What the father says, is by all accounts, law, and what the master says, should be followed without question. So when the father dictates you protect the master with your life, you do just that. What should you do if your master is taken away, and you are left bleeding out, and without one arm? Take up your sword in vengeance! 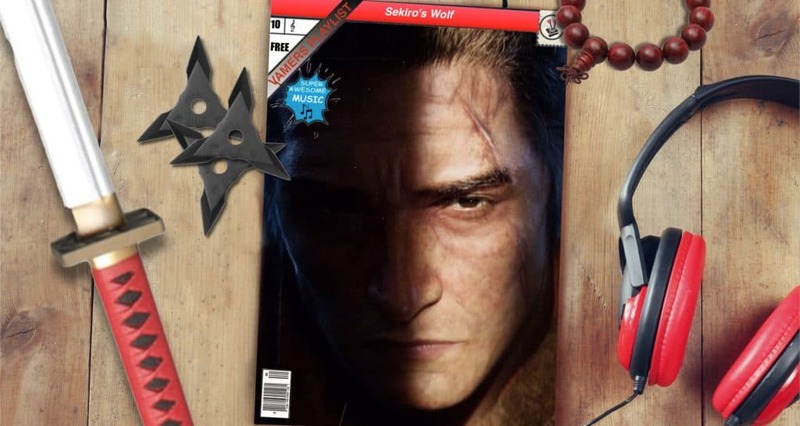 This may not have been the message that Logan’s adventures in Japan conveyed, but it certainly fits the bill nonetheless this Sekiro’s Wolf Playlist. Sword of Vengeance is beautifully scored. It not only conveys a sense of urgency, but also anger with slight undertones of contempt. Wolf undoubtedly felt this to his core when Genchiro Ashina cut his arm off and took the young master away. A feeling that grew ever more present when he made his way through the Castle Gate, and up Ashina Castle. It is a feeling of pure vengeance, one that consumed his being when he met Genchiro once more, not long after. There is beauty in being calm. You would be surprised by how much stress dissipates when you simply take a breath and give yourself some time to think. This beautiful track from the Memoirs of a Geisha (2005) score conveyes serenity in a fleeting world. Time, as you know, waits for no one. You can, however, force them to be on your side, by taking a deep breath and giving yourself a well-earned rest. Wolf has a long and arduous journey ahead of him, and he must recognise that taking it on in haste will be his undoing. Fortunately, he meets a lot of good characters on the way. These characters, such as Emma the healer and Inosuke Nogami, all remind Wolf that he needs to rest. An ability that he can take advantage of at any Sculptor’s Idol that he finds in his travels. When you do rest, dear player, make sure to listen to this Sekiro’s Wolf Playlist. The land may be vast, but the Sculptor’s Idols strewn across it will always set travellers on the correct path. These idols, enshrined by magic only known by the True Sculptor, are in place to guide the weary home. They help those blessed with the Dragon Heritage to find their way to their goal, time and time again. Kirin Hunt, by British composer Ilan Eshkeri, is a daunting and harrowing reminder that running will get you where you need to go. So long as you are running in the right direction, and hunting the correct target. An invaluable lesson for the game and this Sekiro’s Wolf Playlist. Wolf travels throughout the land of Ashina, the depths, and eventually Mount Kongo, the Sunken Valley, and even the Hirata Estate. All in order to get his master back, and subsequently to understand what it means to be one blessed with the Dragon’s Heritage. Throughout all of these travels, his way is set forth in confidence, only because of the aid the True Sculptor lends him, by way of the Sculptor’s Idols. Music is life. Literally. Without it, life would feel dead and drab. It would be lifeless, marked by nothing more than senseless droning and repeated tasks. Music rejuvenates everything it touches, makes it lively, gives it personality. Spirited Away (2001) is a beautiful tale, and this is thanks in large part to its incredibly moving score. This song, in particular, conveys a constant need to fill an empty void, it beckons you to leap forward and jump into the unknown. It gives the Sekiro’s Wolf Playlist a second wind. Not long into the game, Wolf will undoubtedly be defeated in combat. Only, instead of ending his journey right there, he will hear Kuro’s voice whispering in his ear: “Loyal Wolf, take my blood and live again”. Thanks to the Divine Heir’s blood, Wolf has received the gift of immortal life. While not without its own curse, this gives the shinobi a second wind – another chance to do as his father’s bidding. With a restored sense of life, one’s eyes will often become clear. Your mind will refocus and, for what feels like the very first time, you will feel rejuvenated and fresh. This is the result of taking a step back, catching some air, and refocusing on what the task at hand needs. If this means going to war, so be it. After all, this renewed passion may very well lead to success, and is reason enough for its addition to this Sekiro’s Wolf Playlist. It is easy to become stuck in a rut with a game like Sekiro. Wolf will die, over and over again at the hands of the same boss. Multiple play sessions will come and go before players just need to take a step back and re-evaluate how things have gone. This means that Wolf will need to take a breather, maybe go back to the Dilapidated Temple and enjoy some “tea” with the Sculptor. Who knows, after this, there might be a renewed passion to take on an entirely different boss, and it might just lead to a successful encounter! A one track mind can either be your downfall or lead to your rise. Heading into any scenario unprepared, however, will see you fail time and again. This is why martial artists spar. This is why Kendo practitioners and archers practice. This is why a shinobi needs to hone his skills on a fresh, warm body. It is also why you, as the player, should have this Sekiro’s Wolf Playlist on repeat during your journey. Hanbei the Undying is one such body. This seemingly cursed individual found his way to the Dilapidated Temple where he finally found some worth in his curse: to be of some use for Wolf. As an Undying, Wolf can train on Hanbei, and kill him over and over again as the shinobi sees fit. There is no better way to practice killing, than on a fresh, warm, and living body. No man can successfully complete a task without the proper tools. You can apply force to make it work, or you can coax it into being correct. However, never will those two methods result in something that is perfect. This is why surgeons use specialised tools, and writers take advantage of computers or pens and paper. This is why shinobi have prosthetic limbs that can be modified to be any tool they need it to be. Wolf loses his left arm early on in the game, before passing out. Upon waking, however, he finds himself at the Dilapidated Temple. Here the Sculptor has equipped him with a prosthetic arm. This strange new shinobi prosthetic allows Wolf to equip shinobi tools, such as the Monkey of the Sunken Valley’s Axe, a set of firecrackers sold by Robert, or even a huge umbrella-shaped hat that extends to become a hardened shield. Now, the only barrier left is learning how to best use these tools to his advantage. 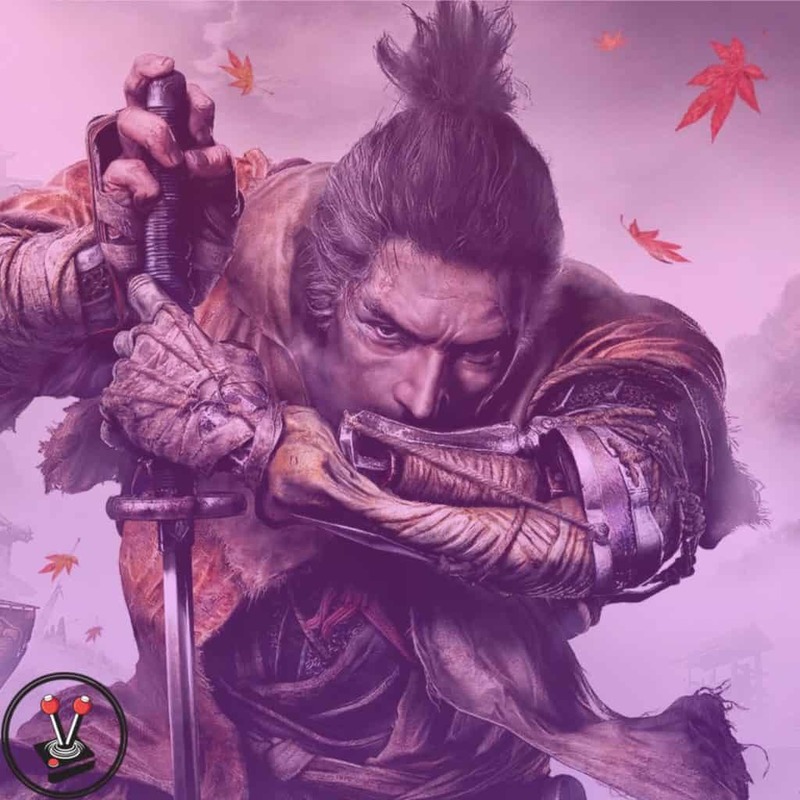 Using this Sekiro’s Wolf Playlist will help you on your way! As you approach the final steps of your adventure, and near the end of the road, it can be a challenge to actually believe that you made it. It is up to you now, to go forward, take the final step, and finally face the last hurdle between you and your goal. Marco Beltrami composed this song beautifully, complete with heartbeat rhythm and a wonderful use of ‘shocking silence’ as revelations are made. It is a wonderful addition to this Sekiro’s Wolf Playlist! Wolf has endured countless hours of pain since accepting his dragon heritage. He has also risen, time after time. As he finally reaches his master and learns of revelations more startling than he could ever have imagined, and as he chooses between two things he never thought would make him so desperate, he finally reaches the end of the line. Now there is but one hurdle left to overcome. This might very well be, his last resurrection. As the final hurdle is dealt with, you can do nothing but fall to your knees and close your eyes. Whether it is the crowd that carries you away, your faithful companions kneeling beside you, or your faith in God that washes over you; you know that you have finally done it: conquered your fears, and become a legend in your own right (and probably for countless others too). Whether he knows it or not, Wolf’s journey across Ashina has finally come to a close. As a shinobi, there is no telling what new threats skulk around the corner, but at the very moment, he can rest assured that his mission is accomplished, and he can lay his sword to rest. It was an arduous journey, not only for the shinobi and his allies, but for the player sitting in their living room viewing it all on their screen. You are a legend, dear player. Now take some time away, and tackle New Game+ like the master swordsman and masochist that you are. When you do, make sure you have this Sekiro’s Wolf Playlist ready for the continued journey forward! That is it for this edition of Playlist, folks. What did you think? This may not have been done in the same vein as Old Man Logan, or even Spider-Man’s playlists, but heck did we have fun putting it together. 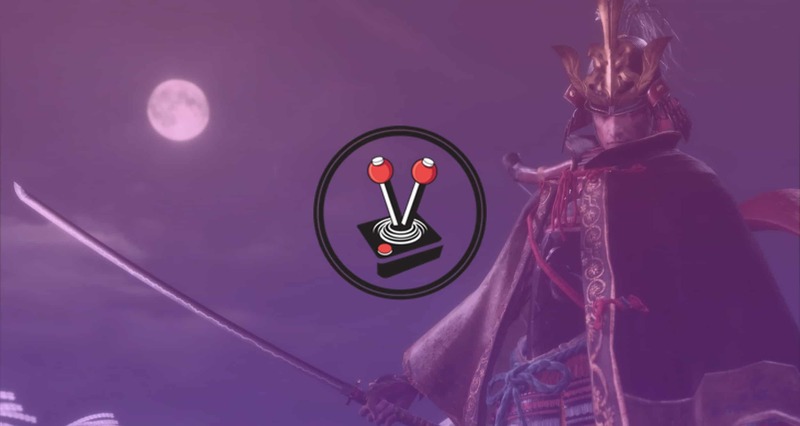 Do you agree with our picks on this Sekiro’s Wolf Playlist? If not, what would you have changed? We hope you enjoyed it. See you again soon! Next articleFour Xbox mascots, and their franchises, that need to be revived!